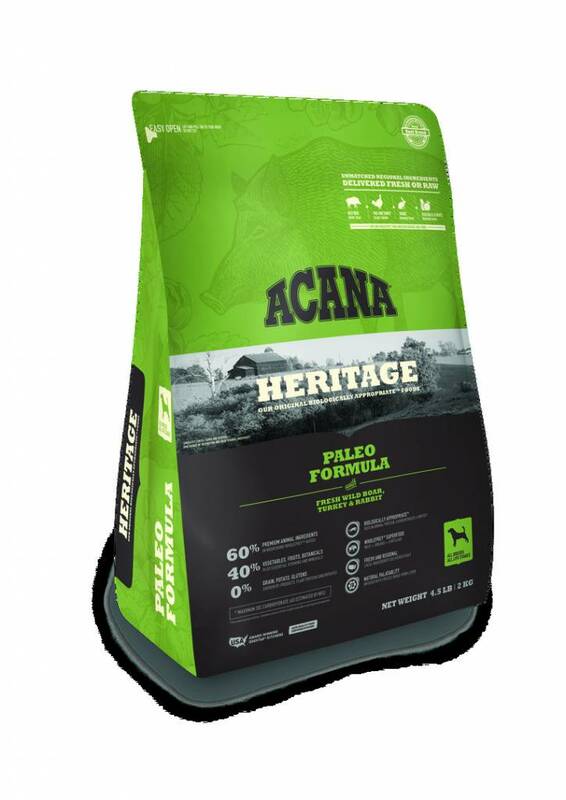 ACANA Paleo features an unmatched variety of local ingredients that are raised by people we know and trust,, sourced from federally inspected facilities and then delivered to our DogStar® kitchens fresh or raw! They might look different, but your dog shares his eating anatomy with the gray wolf – which means he’s evolved as a carnivore and adapted for a diet rich in meat, protein and fat. 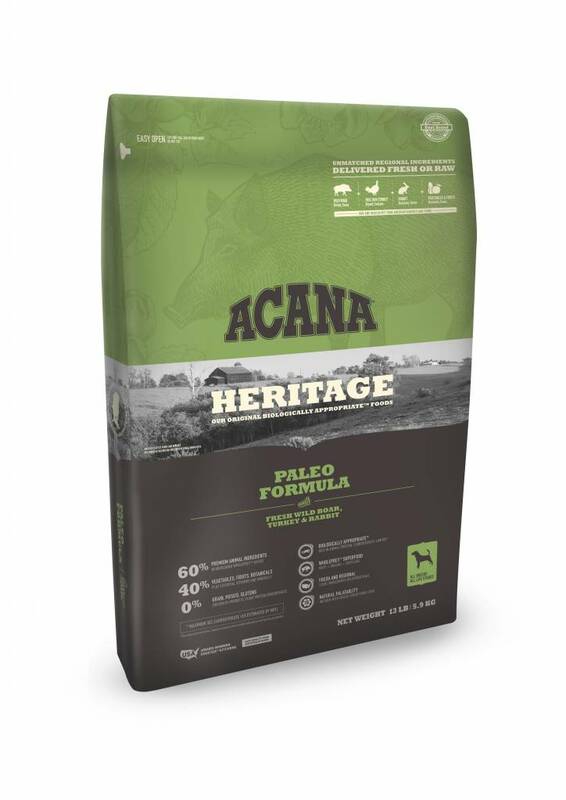 Based on this biological fact, and to produce a nutritional analysis that mirrors the diet Mother Nature would provide for your dog, ACANA Paleo is rich in nourishing proteins and fats, while excluding rice, potato and tapioca and long lists of synthetic ingredients found in some dog foods. 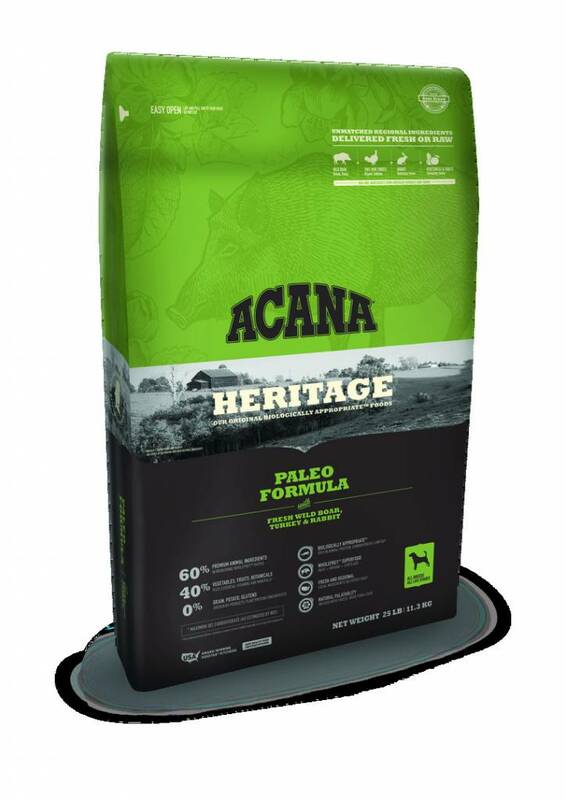 ACANA Paleo benefits dogs of every breed and size. 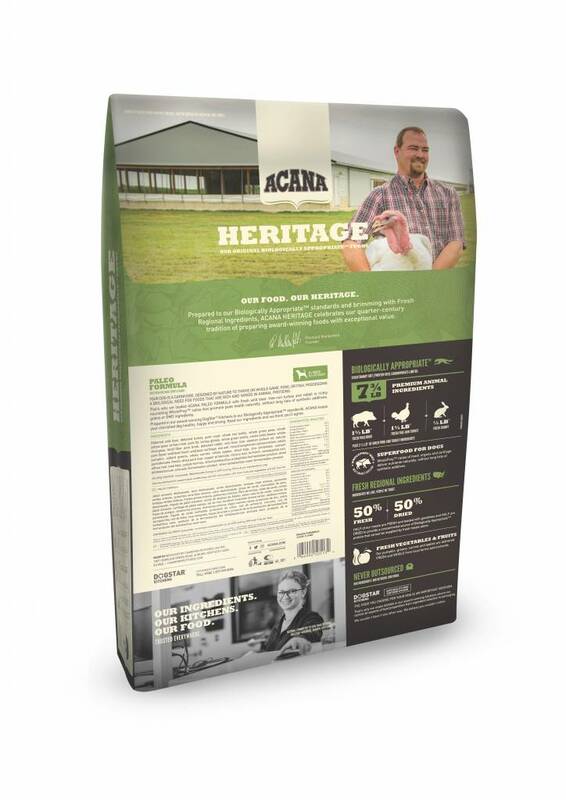 Just like you, your dog is a unique individual with feeding requirements that vary with environment, age and activity. † Use a standard 8 oz measuring cup. Serve dry or lightly moistened. See your veterinarian regularly. To help maintain freshness, we recommend sealing the bag tightly and storing it in a cool, dry location. 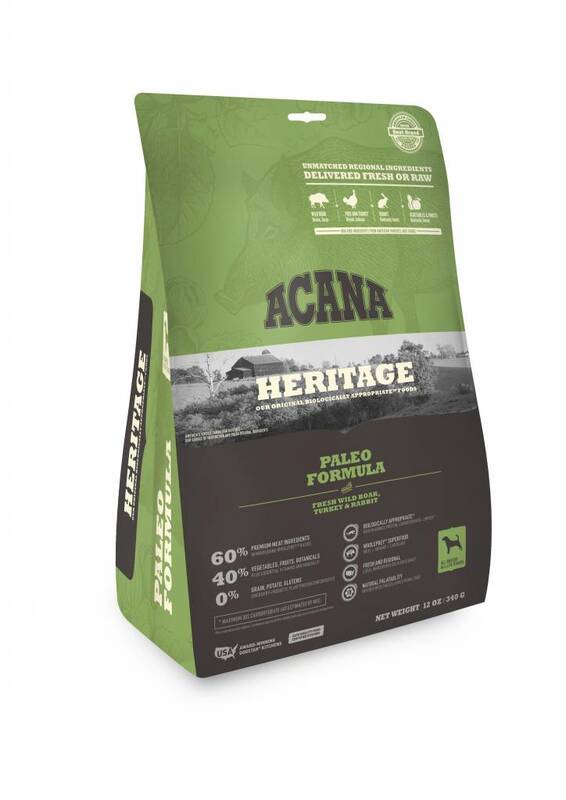 ACANA Paleo is formulated to meet the nutritional levels established by the AAFCO Dog Food Nutrient Profiles for All Life Stages. Metabolizable Energy is 3475 kcal/kg (396 kcal per 8 oz. cup), with 29% from protein, 29% from carbohydrates, and 42% from fat. The gray wolf is ancestor to all dogs. And while years of breeding have produced hundreds of “different-looking wolves,” the internal workings of modern dogs and their wolf cousins remain unchanged, so it’s no surprise that their dietary needs remain the same too. Our award-winning Biologically Appropriate™ philosophy is simple: mirror the quantity, freshness and variety of meats that dogs are evolved to eat, while limiting the long lists of synthetic ingredients that don’t belong in your dog’s natural diet.